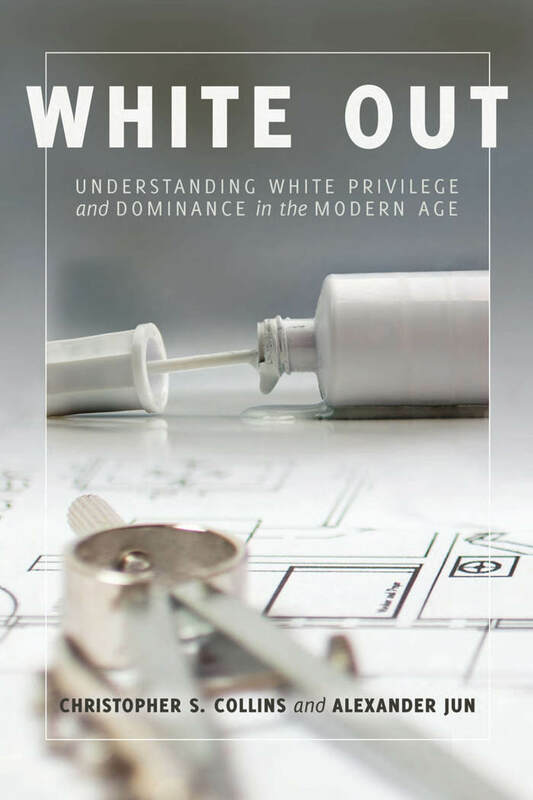 “White Out” co-authored by Alexander Jun, Diversity and Social Justice in Higher Education professor and moderator of the 45th PCA General Assembly. In Christianity the most fundamental division among men is between the saved and the unsaved (or expressed in the eternal sense the elect and the reprobate, the line of Cain and the line of Seth) and while the divisions according to race, nation, tribe, language, and class are acknowledged, they are not primary, rather we are saved out of them, and on the last day, whether one was a king or a slave on earth, that won’t matter one whit if one is not in Christ. (See Rev. 5:9 and 6:15-17 for instance). The kingdom of heaven is also never fully realized here on earth in this present evil age, and certain things, like hatred and poverty cannot be eliminated because sin will continue till Christ returns. The primary calling of Christians therefore is to proclaim the gospel, that men might believe on the Lord Jesus Christ, be saved, and become members of His body, the Church. Within the church here on earth, people may remain members of the same race or class, but these divisions are unimportant and as the Apostle James points out, shouldn’t make any difference between believers. Additionally, our standing in human society should have no bearing on our standing in the church, and brotherhood should be possible (and often was) between the very rich and the very poor. In Marxism, the primary division is that of class – the “haves” and the “have-nots”, and the haves have what they have because they prevent the have-nots from gaining access to the means of accumulating the material wealth that would allow them to become haves as well. This means that the rich became that way by making other people poor, and as long as the rich remain rich, the poor will remain poor. Therefore, all of human history for the Marxist is a political struggle between oppressed and oppressors, and in Liberation theology which is derived from the political theories of Marxism, Jesus is a champion of the oppressed who calls for the overthrow of the oppressors and the creation of an egalitarian kingdom here on earth. In Marxism the kingdom can be realized here on earth via reeducation and a fundamental reordering of society where the oppressors lose their material advantages and privileges either freely or via force and their wealth and influence is redistributed to the have-nots so that in theory everyone has an equal amount of wealth and power. In Black Liberation Theology, the fundamental division is between whites (oppressors) and blacks (the oppressed), but there are other varieties of liberation theology such as Feminist Theology which sees the essential division as being between men (oppressors) and women (the oppressed), and Queer Theology which sees the essential division as being between heterosexuals (oppressors) and homosexuals (the oppressed). These streams often flow together to create a larger tableau of the oppressed (women, minorities, homosexuals, transgenders), etc. Also – and this is incredibly important – in Christianity the primary fellowship is on the grounds of communion in Christ. This means that in Christianity, regardless of race or nation or class, you are my brother or sister if we are both believers in the Lord Jesus Christ. In Marxism, on the other hand, the primary fellowship is on the basis of our shared position in the political struggle. Therefore in Marxism we are comrades if we are both members of an oppressed class struggling against oppression. So in order for someone in the oppressor class to become a comrade, they must repudiate their class and origin, condemn their privileges, cast off their material advantages, and actively join the struggle, only then can they become a comrade. In practice this means that in Black Liberation Theology there cannot be real communion between blacks and whites until those whites repudiate their race, condemn and lament their privileges, and actively join the political struggle. These ideologies (Christianity and [Fill in the Blank] Liberation Theology) are fundamentally incompatible and cannot coexist in the church. One will inevitably end up driving the other out. This entry was posted in Current Events, Liberalism, Liberation Theology, Marxism, PCA, The Spirituality of the Church, Theological Declension and tagged Black Liberation Theology, Class, Evangelicalism, LDR conference, Marxism, OPC, Pass The Mic, PCA, RAAN, Race, Reformed, Theology, Truth's Table. Bookmark the permalink.